It was a quick Provincial Chapter –– only a few hours on the afternoon of Monday, June 18, 2018. All entities in the congregation had to hold a chapter to elect delegates to the General Chapter that will be held in Rome in July. Of course, the General Chapter is necessary following the nomination of Fr. Heiner Wilmer, former superior general, as bishop of Hildeshiem. The US Province elected Frs. 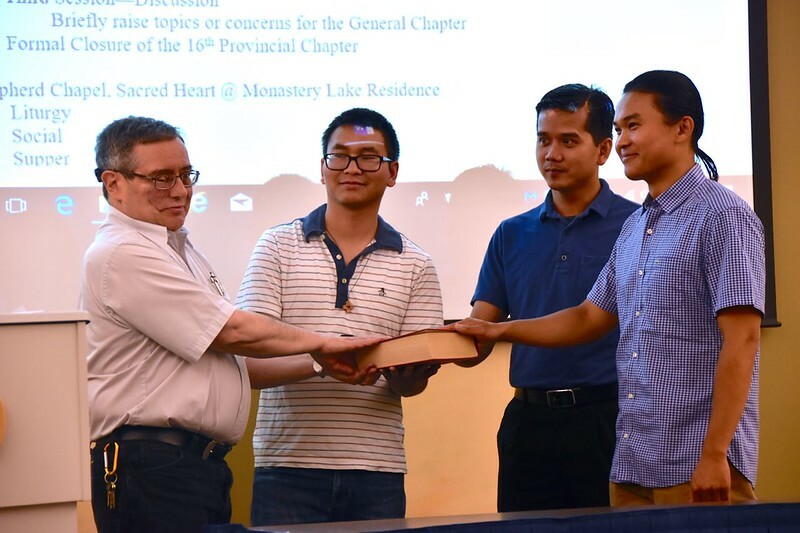 Vien Nguyen and Jack Kurps as delegates to the General Chapter, and Frs. Charles Brown and Quang Nguyen as alternates. The chapter secretary and tellers are sworn in.